One of the pleasures that least in part compensates for having to tread the miles of aisles at each year’s PGA Merchandise Show is the opportunity to gain some insight to pass along to reader about all the new products. This year was no exception. The people at Callaway Golf had an important announcement the week before the Show concerning the Rogue family of clubs—metalwoods, hybrids and irons—and Show week unveiled their new Chrome Soft and Chrome Soft X golf balls. They revealed some interesting technology that you should know about. 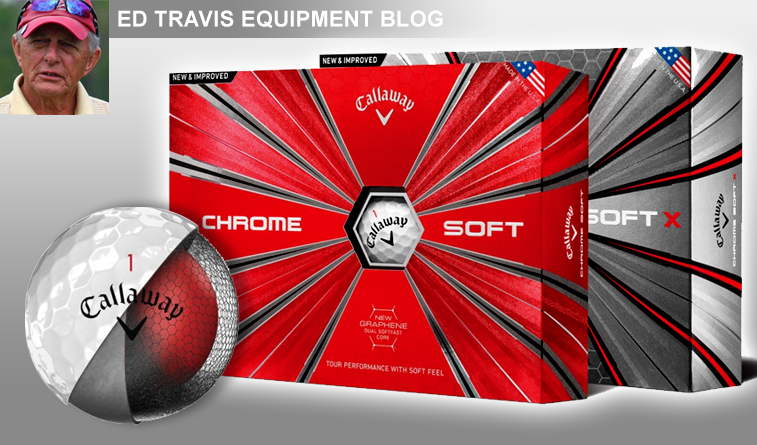 The original Chrome Soft released in 2015 had a three-piece construction and very low compression which turned off better players with higher swing speeds; Callaway’s answer was the firmer Chrome Soft X. For 2018 they have redone both in a 4-piece construction and added something called graphene into the core. For maximum distance in a ball such as the Chrome Soft with inner and outer cores, the inner should be larger than the outer which puts the outer under high stress when the ball is hit with a driver. If the outer isn’t strong enough it will crack which makes it worthless and that’s where graphene comes in. Graphene, long thought to be too expensive for golf balls, is an ultra-strong lattice of nanocarbon atoms 200 times stronger than steel but it stretches so when added to the outer core the potential cracking problem is solved. Callaway describes the result as having kept the overall soft feel but changed it slightly. Players will hear a crisper sound from shots around the green and see added ball speed off the driver with “significantly” better distance from mid-irons and approach shots. Compared to the original Chrome Soft, driver spin is less without lowering the launch angle, so distance is increased. Those with higher swing speeds, above 105 mph with the driver, should like the firmer Chrome Soft X while taking advantage of the softer feel of both the Chrome Soft and Chrome Soft X. The increased firmness will result in a better conversion of driver speed to ball speed in the X than it will in the standard Chrome Soft. 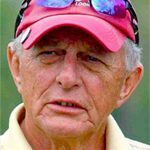 The greatest advantage of playing a soft ball though might the “forgiveness,” a term usually associate with clubs, but which can be applied to golf balls as well. The softer the ball the greater the ball will compress with preservation of more ball speed when impact is not in the center of the clubface. Put simply a Chrome Soft ball goes farther compared with a harder ball even though the hit was not very good. Finally, the urethane covers of both models have been made softer with the goal being increase spin on shots around the green. According to Hocknell even though it is softer it is actually more durable, a characteristic of urethane not true of Surlyn which is often used on so-called distance balls. In a nutshell, players will be interested in the 2018 Chrome Soft if they want a softer feel with more forgiveness and less side-to-side curvature and the Chrome Soft X if looking for more workability. Both will be at retail on February 16 at a cost of $44.99 per dozen.